Established in 1987 and lead by Chairman & Managing Director Bob Weston, Weston Homes is a multi-award winning residential-led developer which undertakes new build, restoration, conversion and mixed-use projects on brownfield-land sites in inner London and the Home Counties around the capital. Weston Homes is focused on selling high quality homes to end user or individual investor purchasers with a commitment to provide the very best value for money, interiors and specification within its class, regardless of whether it’s a starter home, family home or luxury residence. Belcom was founded in 1992 to supply control and communication cables to industry. Today, we are the UK’s foremost stockholder and distributor of cutting-edge, high performance, industrial automation cables. We have achieved this market-leading position by maintaining a strong team of professionals with proven industry experience. GE & AF Silvester Ltd was established in 1963 by Gordon and Alan and over the last 45 years the business has grown into the company it is today providing a complete building package. The business is now run by Ian and Andrew Silvester (Gordon’s two sons) and carries on the family run business with the personal touch you would expect. Employing the majority of the key trades direct we pride ourselves on continuity of work and consistency of quality for all our projects whatever the size. We are able to work on projects of varying sizes from small extensions and alteration projects up to new build houses constructed to your individual requirements. Pestell & Company has been established for over 20 years and are able to provide the experience and expertise required within a modern Estate Agents. We are located within the centre of Bishop’s Stortford and Great Dunmow allowing us to offer an extremely wide range of either large or small properties within the town or countryside. At Takeley Running Group Results we offer one to one and small group coaching to suit your needs. We believe that running is for everyone to enjoy, regardless of your ability or age. Whether you are a complete novice, intermediate or an experienced runner, running should be an enjoyable and rewarding part of your life. If you are training for the Takeley 10KM and, or would like to join the Priors Green & Takeley Running Group please contact us. 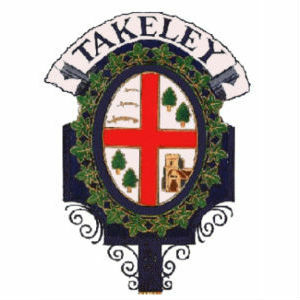 The organising committee of the Takeley 10K Run would like to thank the Takeley Parish Council for theirvalued support of our event.Without their yearly donation to help cover the expenses and overheads, we would not beable to keep contributing to the ever growing funding for our Village Hall Development. This event is for our growing local community, to give them a Village Hall with the facilities fitting to the increased population growth. Mackness Contracting is a small family run landscaping company nestled in North West Essex, operating in around the local area covering Essex/Herts/Cambs and Suffolk. We operate a range of modern well maintained machinery including mini diggers, dumpers, rollers, grass care equipment and much more. All available for hire with a fully qualified operator to complete any task or project you may have to the highest of standards. We can provide a complete design and construction service and will take on any project no matter how large or small. We are fully insured and guarantee to be prompt, reliable and competitive. Here at McMillan’s Engineering we have 15 years’ experience in every aspect of the sidelifter repair and service, regularly working on Hammar Lift, Steelbro, BoxLoader and Combi Lift machines. We know how important every machine is to our customers no matter how large or small. We are the only company in the United Kingdom that specializes in sidelifters, with a large parts department and a 24 hour mobile call out service to keep your machine on the road and downtime to a minimum. Stansted Audi is continually striving to deliver an experience that is as prestigious as the vehicles themselves. This vision has now been realised since we relocated to our new site on the B1256 in March 2004. The New Car showroom coupled with the availabilty of over 200 Approved Used Audis, enables customers to view the extent of the Audi range. We have the ability to service up to eight vehicles at any one time and a team of highly trained Audi technicians to ensure a seamless service to all our customers. TAG Aviation (Stansted) are a based in the Diamond Hanger at Stansted Airport and provide varied services within the Aviation Industry. “I very much enjoyed this event and the friendly atmosphere created by your team of helpers. Having come to running late in life I sometimes feel a bit overwhelmed by the larger, high publicity events so this is perfect for me."